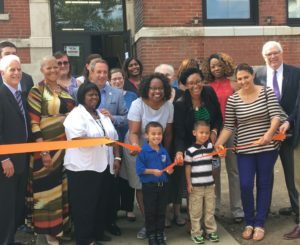 With the cut of an orange ribbon, a high-quality educational campus serving preschoolers through 8th graders officially opened its doors in the historic Willard School Building. It was all thanks to a new partnership between two high-quality educational programs: Breakthrough Schools’ E Prep & Village Prep and the Council for Economic Opportunities’ Willard Head Start. The co-location of top-rated Pre-K and Kindergarten through 8th grade schools is unique on Cleveland’s west side. The newly-renovated building officially opened with a brief program and ribbon cutting on Wednesday afternoon. Alan Rosskamm, president and CEO of Breakthrough Schools, addressed the crowd of families, teachers and community members, touching upon the significance of spending $7 million to transform the 120 year-old building into a premier Pre-K to 8th grad campus. Dr. Jacklyn Chisholm, president and CEO of the Council for Economic Opportunities said she’s proud to be a part of this exciting new school. City of Cleveland Councilman Matt Zone (Ward 15) has been a champion of this concept since it was first pitched and was pleased to officially open the new facility today. He said he looks forward to the impact this building will have on the children it serves. Seats are almost full at Willard Head Start but there is still time to enroll your child for the 2016-17 school year. To enroll your child, click here. 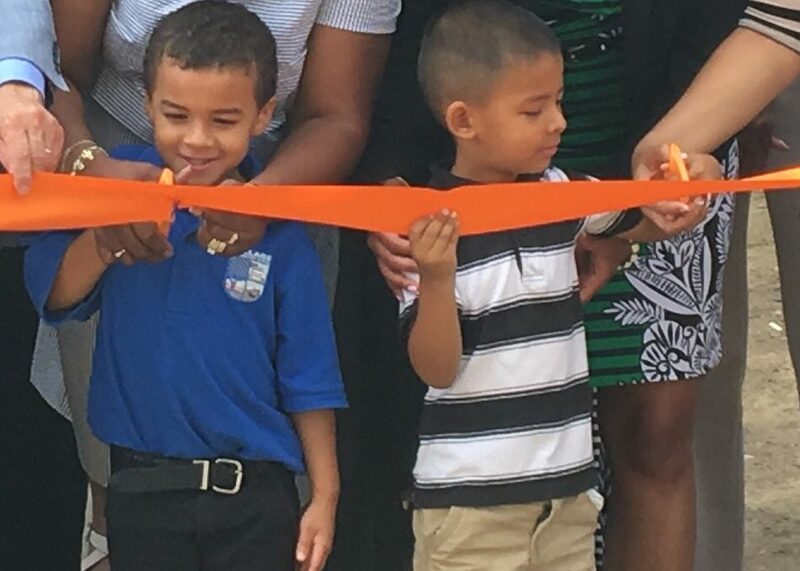 The Council for Economic Opportunities and Breakthrough Schools held a ribbon-cutting ceremony this morning for the new Willard Campus led by two students: Mason-James (5) a Kindergartener and Enrique (4) a Head Start student.